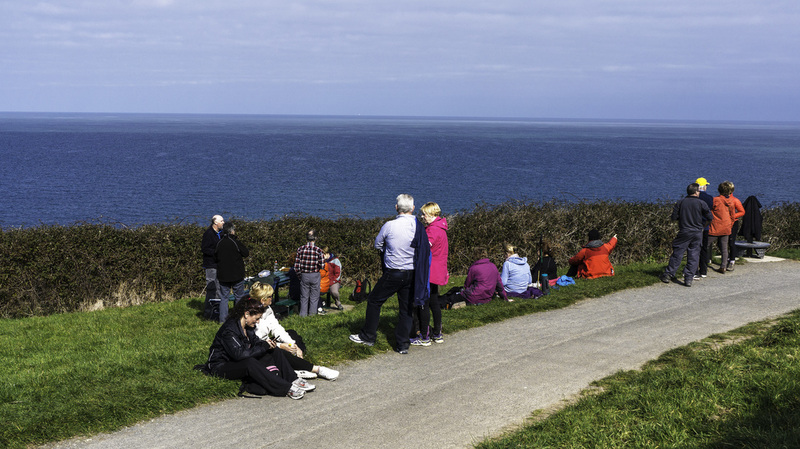 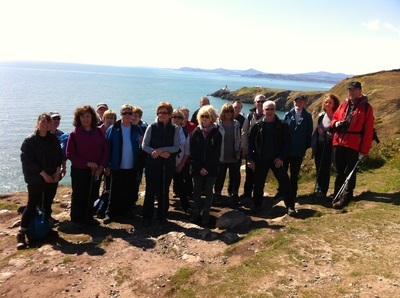 On Sunday, March 20th thirty walkers arrived at Greystones Station to commence the Cliff Walk to Bray. After a bit of the usual shillyshallying ("Can I grab a quick coffee? 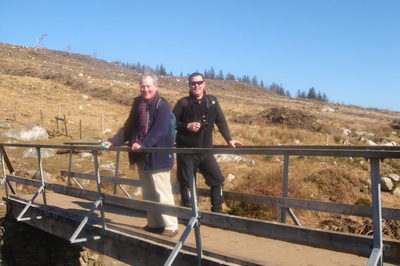 Where's the nearest loo?") we set off through the village and headed for the harbour. 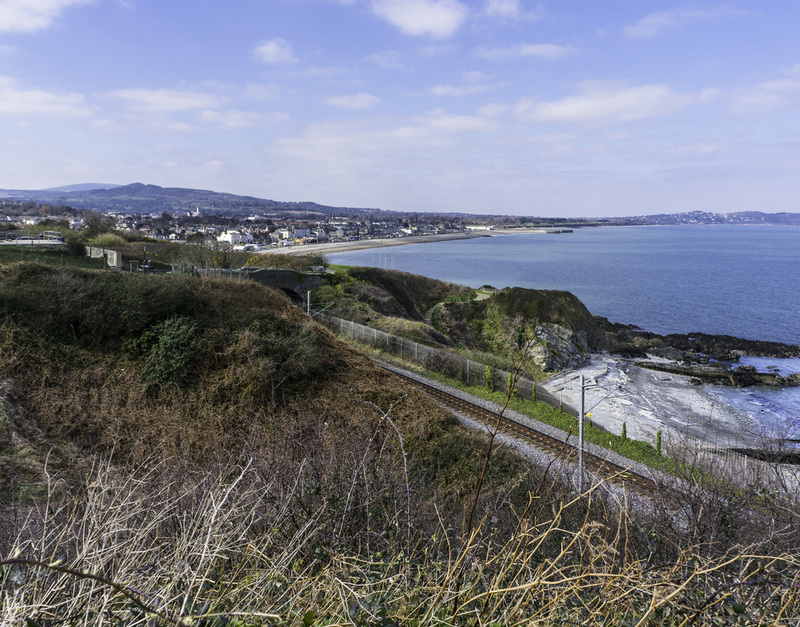 With the ongoing development in the area the initial part of the walk is a bit like Guantanamo, with all the fences, but it soon opens out to a pleasant walk (spoiled a little by the amount of dog poo) through the fields and then reaches the "cliff" area at the foot of Bray Head. At 6k in length it was not very demanding and the walkers were able to set their own pace and stop for photographs. 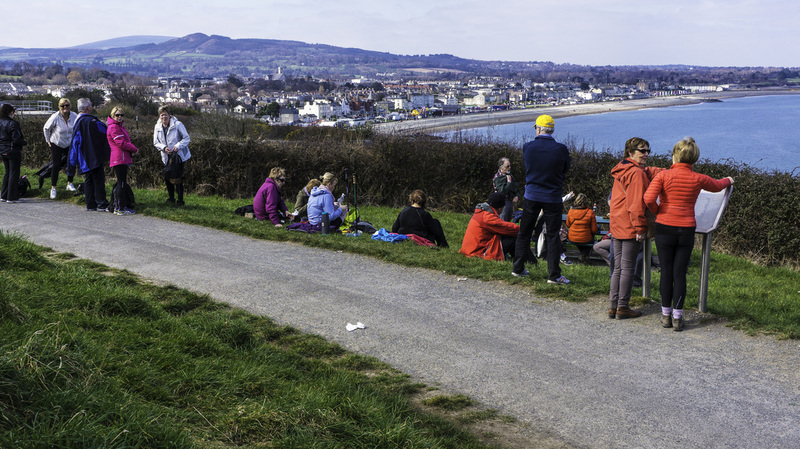 We had a little break at the picnic tables as Bray came into view and then set off for our final destination, O'Driscoll's Bar, known to the locals as Jackie's. 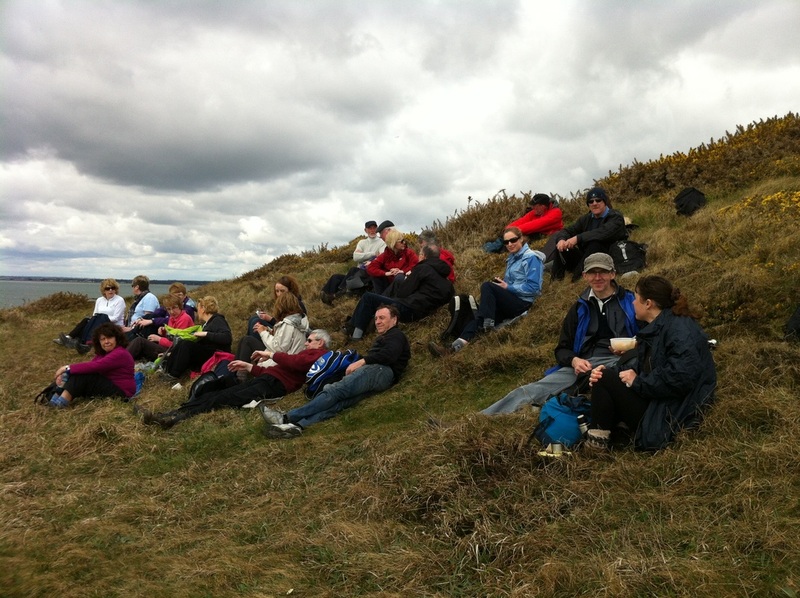 There we partook of plates of sandwiches and a few "lemonades". Then it was off to Malahide on the next available Dart. 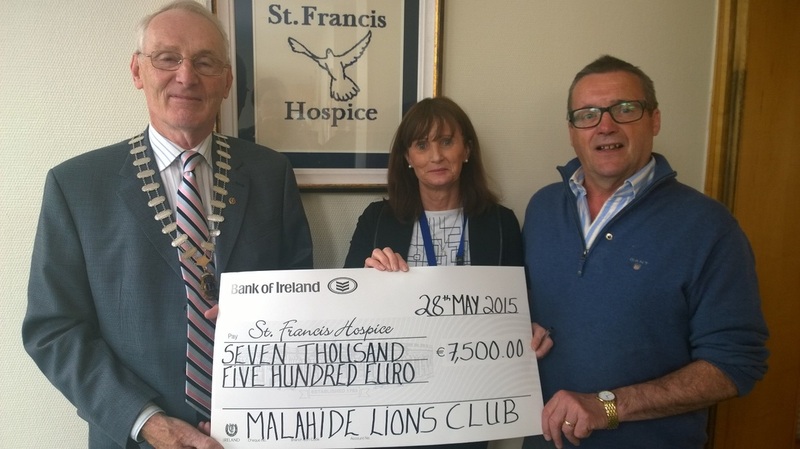 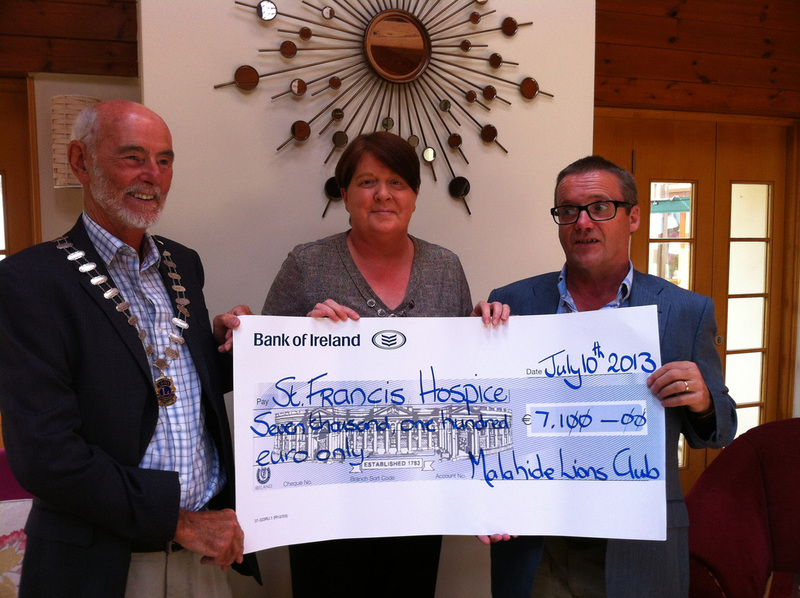 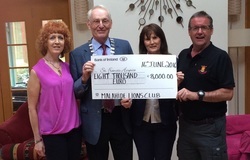 Below you can see Lion Mary McNamara, Lion President Donal O'Meara and Lion Stephen MacDonagh presenting a cheque for €8,000 to Bernadette Gillis of St. Francis Hospice. 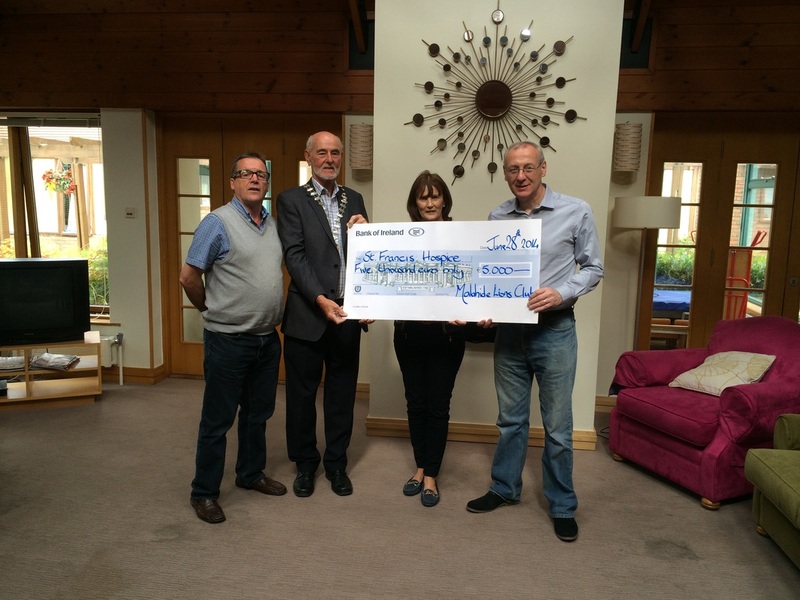 €6,000 was raised by the walkers and the remaining €2,000 came from the Vintage Car Show.Well done and thank you to all those who took part. 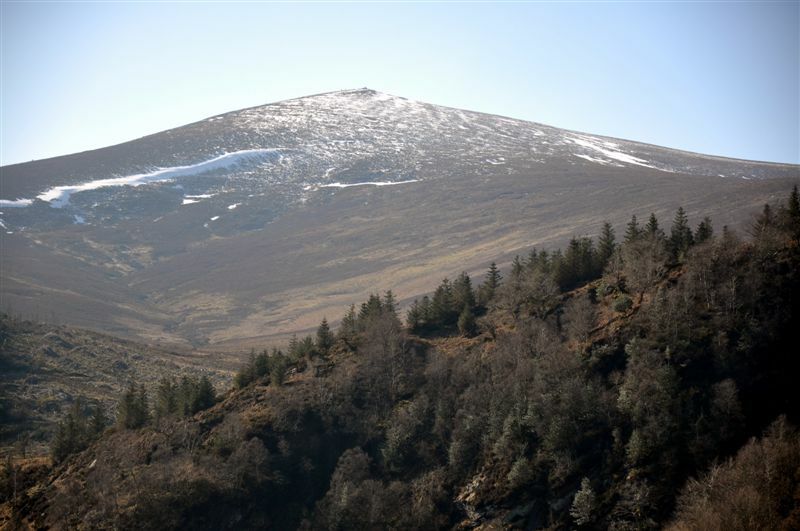 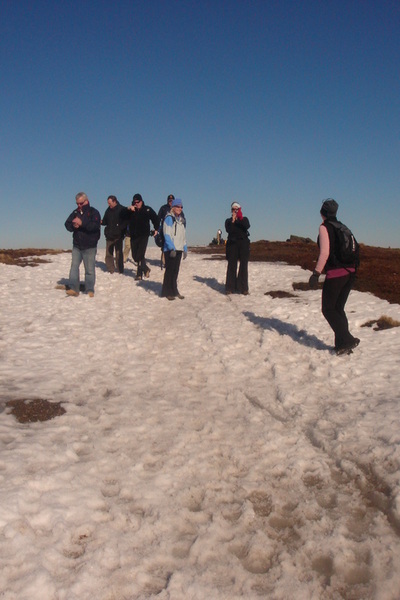 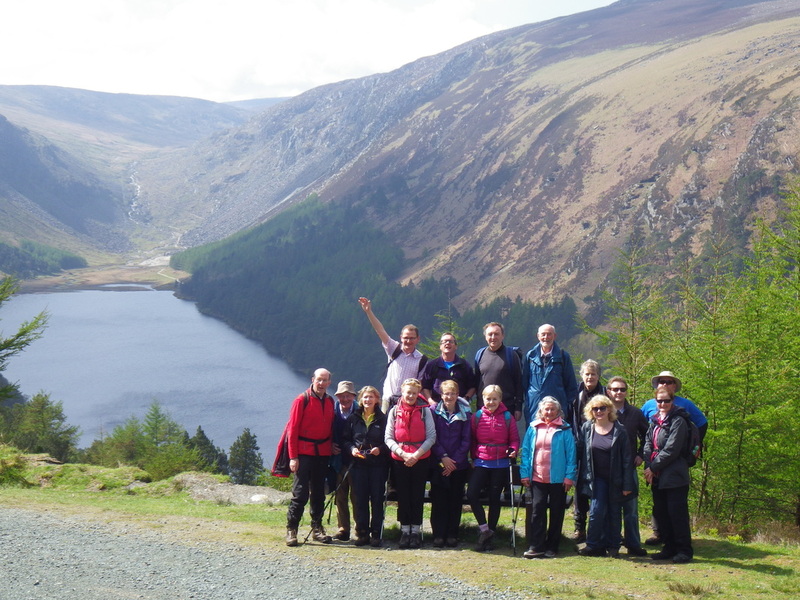 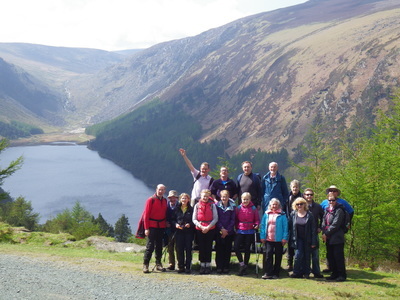 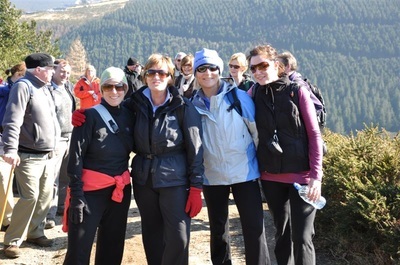 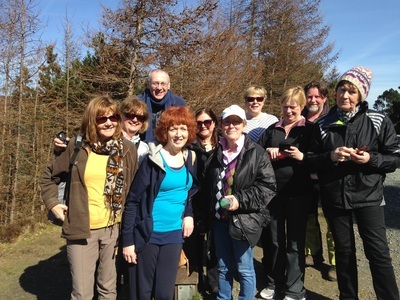 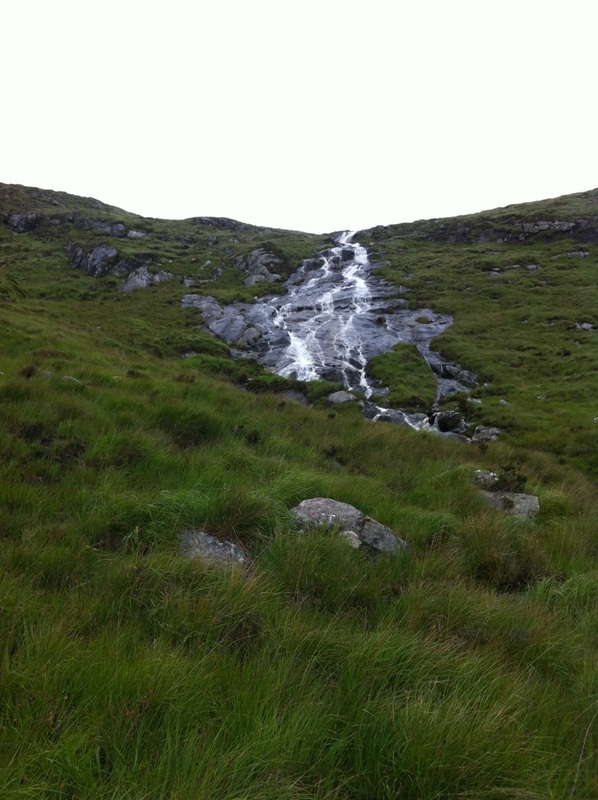 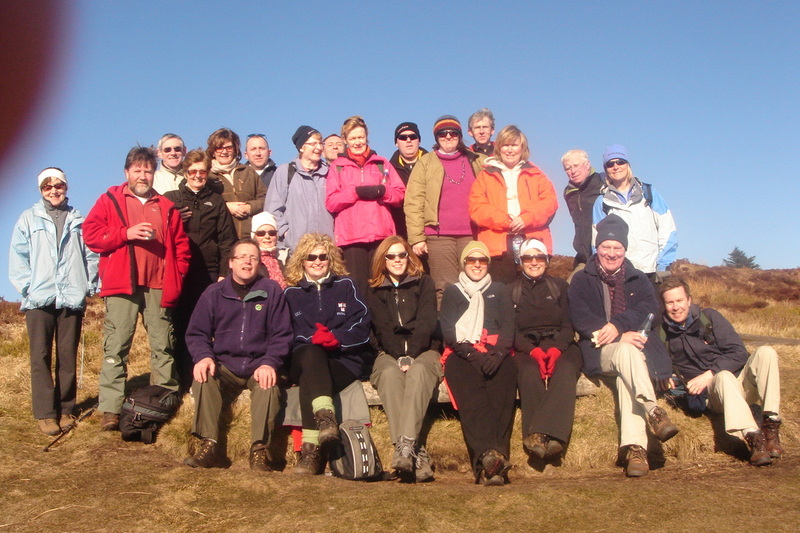 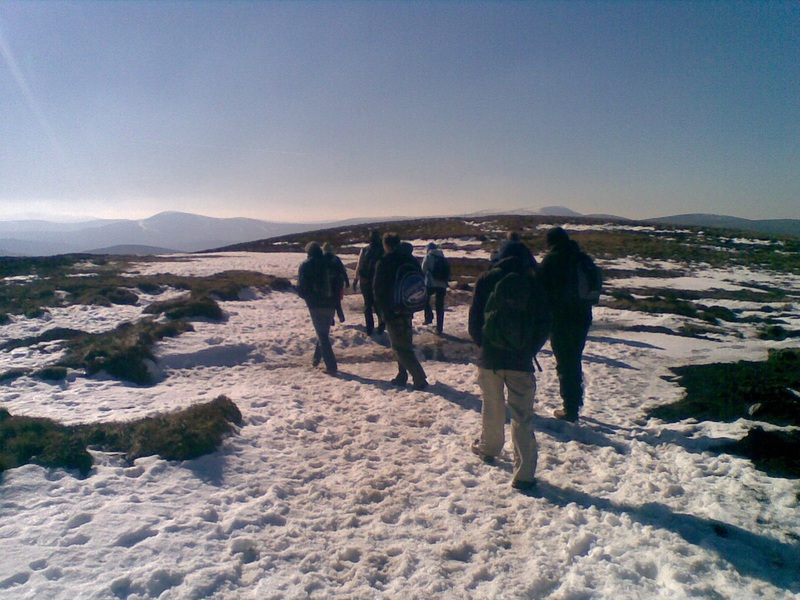 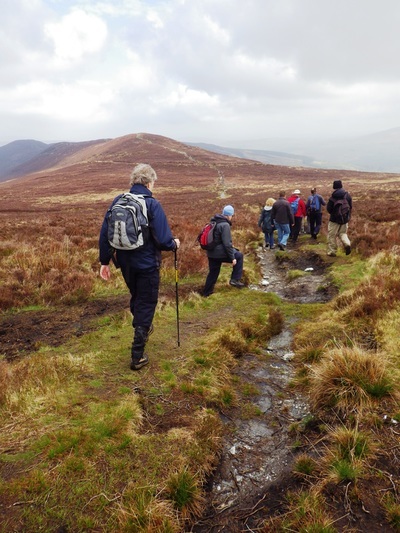 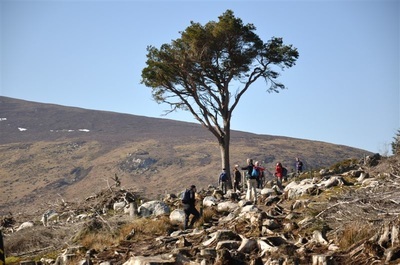 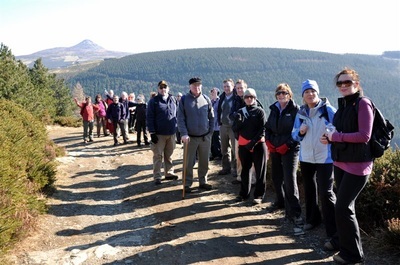 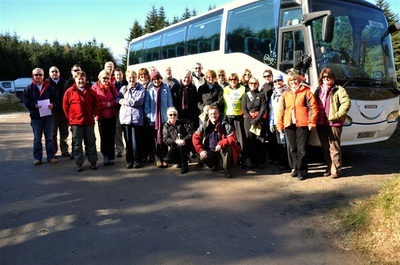 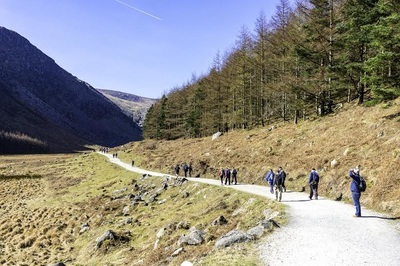 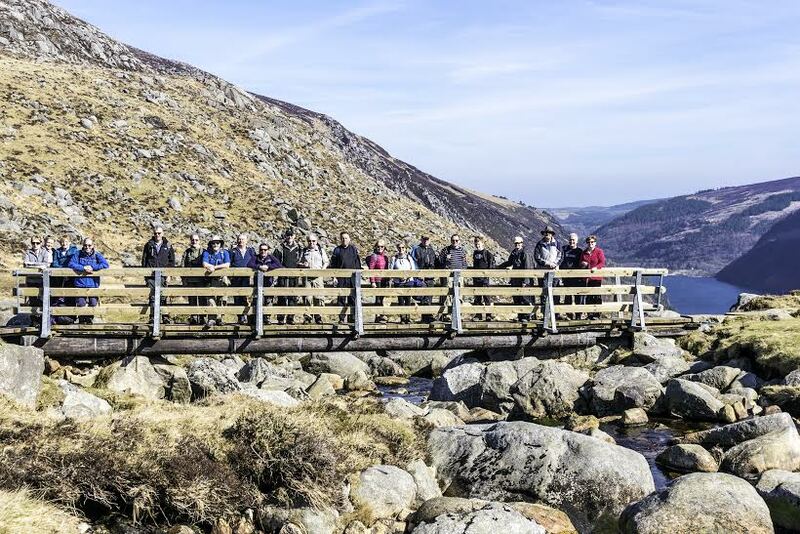 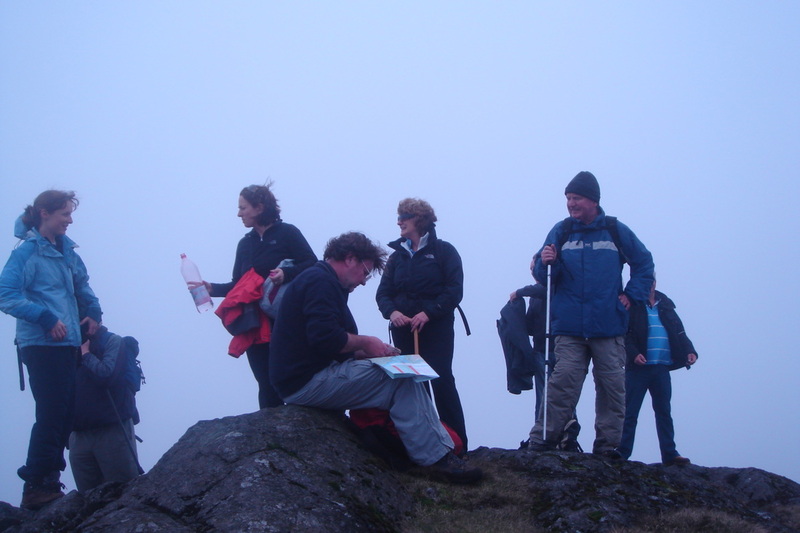 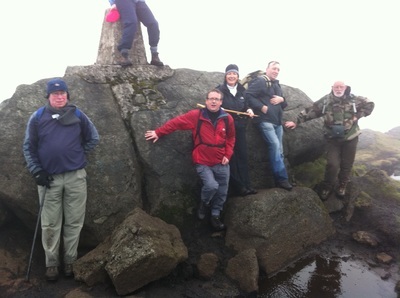 ​This year's Hillwalk (the eighteenth) took place on Sunday March 20th 2016. 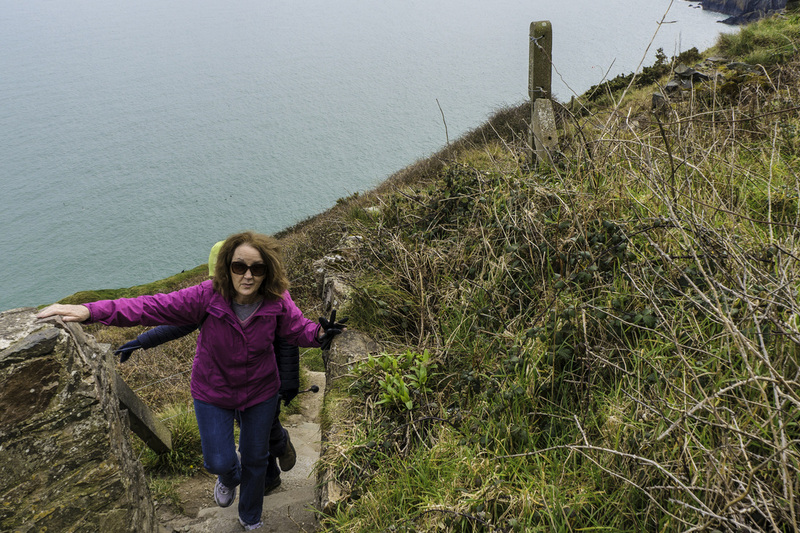 The route was the Cliff Walk from Greystones to Bray. 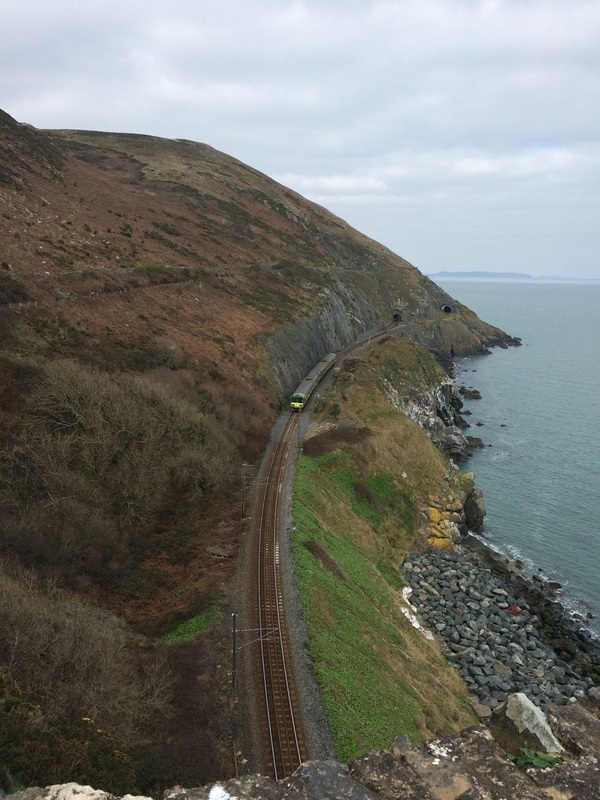 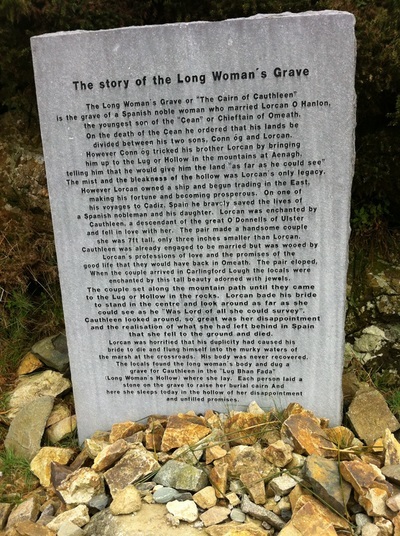 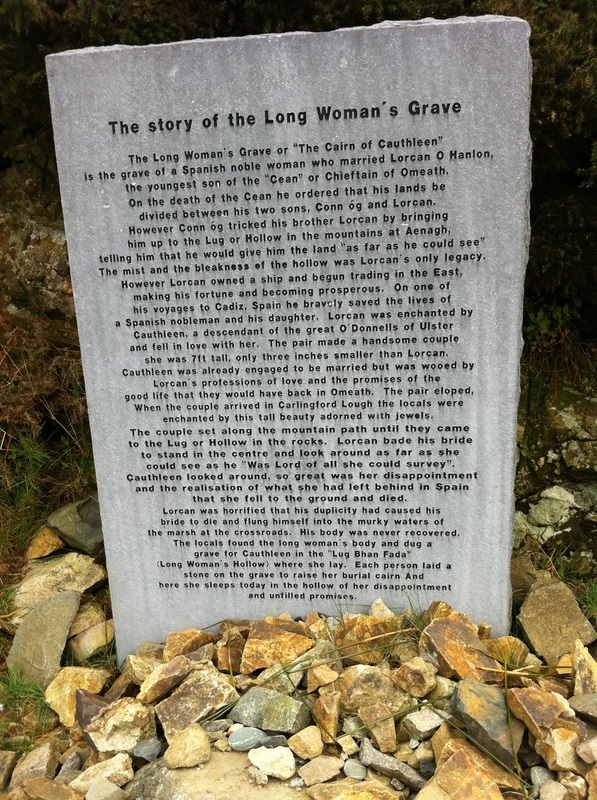 In a departure from the norm this year we travelled by train to Greystones to begin the walk. 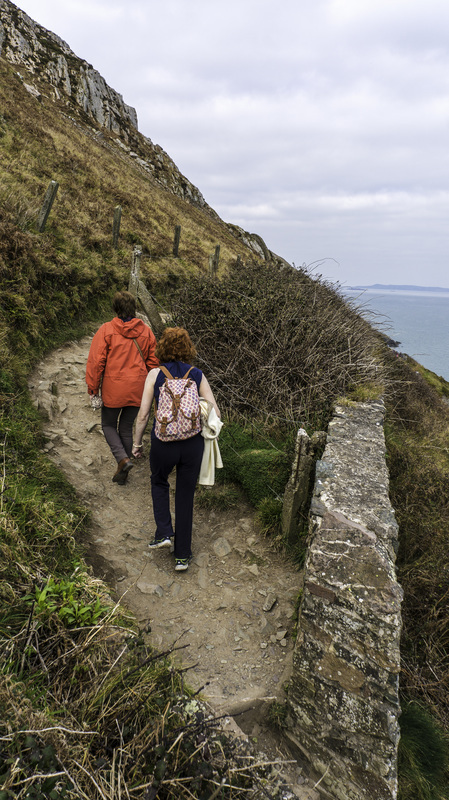 You should be in good health and used to walking. Wear suitable clothing ,warm socks and comfortable footwear (boots with ankle support preferably). 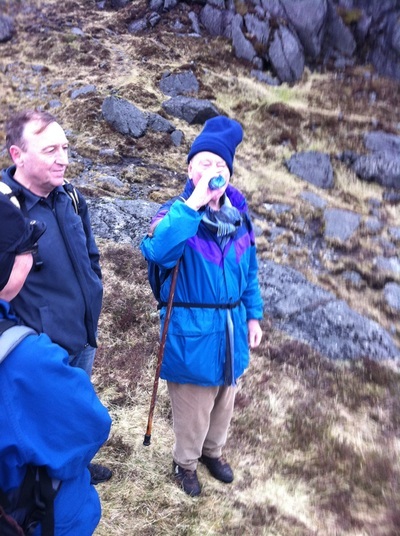 Carry a backpack with liquid and a light lunch for one stop. The organisers will carry a first aid kit but it is advisable to carry a couple of plasters and blister pads.